“What if we just build a fort and watch movies all night” my husband suggested jokingly as we laid across the bed making our plans for Valentine’s Day. I looked at him and rolled my eyes but thought it wasn’t such a bad idea. Like many couples, my hubby and I walk the aisles of stores reading cards to give each other and search various websites in hopes of finding the items we’ve both hinted at. However, unlike most couples, we usually spend our Valentine’s at home. We hate going out! It is the last option when making plans to celebrate. Between the crowds and long lines at restaurants, we rather stay home and enjoy the company of one another. 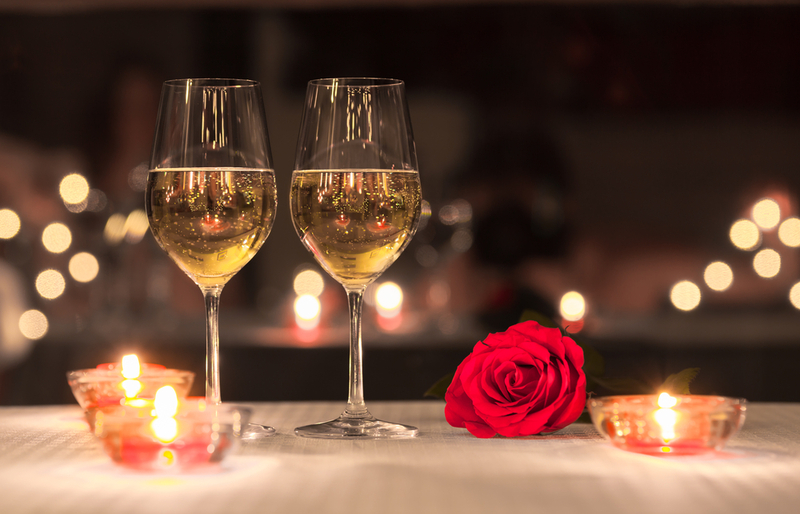 I know you’re probably thinking that staying home EVERY year on Valentine’s Day is boring so you would rather be out fighting the lines to enjoy a romantic dinner or movie with your valentine. Well, here we explore creative ways to spend time with your spouse that doesn’t require you to leave home. The popular phrase, “teamwork makes the dream work” captures the idea of this bonding experience. It’s nothing more romantic than seeing your spouse in an apron next to you chopping up ingredients for the dinner you’re preparing together. It is the perfect opportunity not only to get closer together but to build teamwork and communication within your relationship. 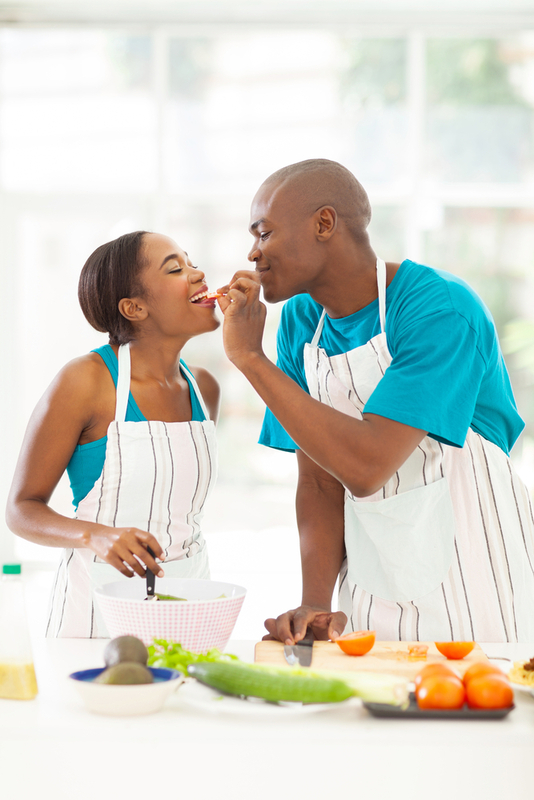 From choosing a recipe together, planning and prepping the details of the meal to actually cooking, you and your spouse can practice effective ways to communicate. It can also highlight some of the amazing things you love about your spouse that you don’t usually have time to notice day to day. What else goes perfectly with the dinner you just made other than a glass of wine? 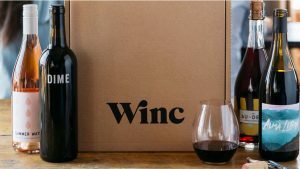 Instead of traveling out to a vineyard, you and your spouse can have an array of wines delivered right to your doorstep. Winc Inc. formally know as Club W has an amazing wine membership that is bound to bring excitement to any meal. The subscription costs $39.00 for 3 bottles of wine. The subscription includes your 3 bottles of wine and a recipe and dessert card for each bottle of wine that was chosen. As well as a cute welcome postcard thanking you for your subscription. Not only do you get the bottles of wine but you get to try 3 amazing entrées and desserts specifically paired with your wine choices. Release the inner artist in you with this innovative activity. Paint and Sip allows you to capture your artistic abilities, relax and enjoy your spouse’s company while “sipping” on a glass of wine. Purchasing the materials for this is fairly easy. You can simply stop into your local Michaels Craft Store and purchase your choice of canvas boards, paints, and brushes. If you’re worried about the cost, don’t be! There are ALWAYS coupons available on their website or circular to help cut the cost. Everyone I know loves massages. It is a way for you and your spouse to relax, find a sense of calmness and release any tensions. Soothe is a 5 star massage service that enables it’s customers to order massages anywhere they want. The appointments are schedules then accepted by certified massage therapist in your area. 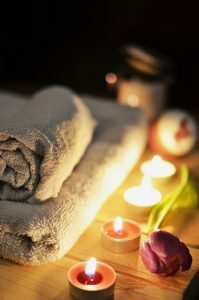 Soothe offers a range of massages from Swedish and Deep Tissue to Couple and Prenatal massages. Those times, when your making last minute plans on the go, you can simply schedule your appointment via the Soothe app. The app is available for both iPhone and Android users. What does it cost? The pricing for this service depends on the length of your massage. Set the mood in your home with soft and relaxing music, dim lights, a few candles and maybe even run a bubble bath so you and your spouse can enjoy a full spa experience. Karaoke has become a popular activity to let your hair down and belt out your favorite Beyonce or Burno Mars song at the top of your lungs. However, karaoke machines can be a bit pricey, running anywhere from $50.00 to $400.00. Thankfully, like almost everything else, there’s an app for that! Karaoke Anywhere works with any iPhone or Android device and features more than 50,000 songs. You simply plug your device into your TV, follow the prompts and let the party begin. This can be a fun way for you and your spouse to relive your wedding night, sing your favorite songs to each other or battle it out to prove which one of you could sing the best. Staying home with your spouse can be just as fun as venturing out to your favorite restaurants or catching the latest movie. It just requires a bit more creativity and an open mind. Whether you decide to go out or stay-in be sure to make this Valentine’s Day a special one.